Most snippets are added as an additional OR expression to the beginning of the corresponding regex, except Revert to default and Group all directories that replace the regex. 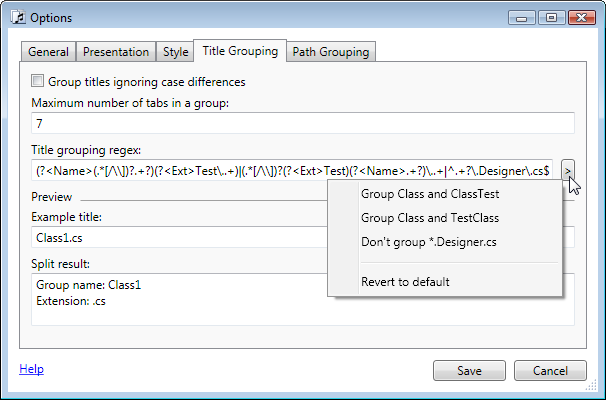 Class is just a placeholder in title snippet names – corresponding regex will work for any class name. 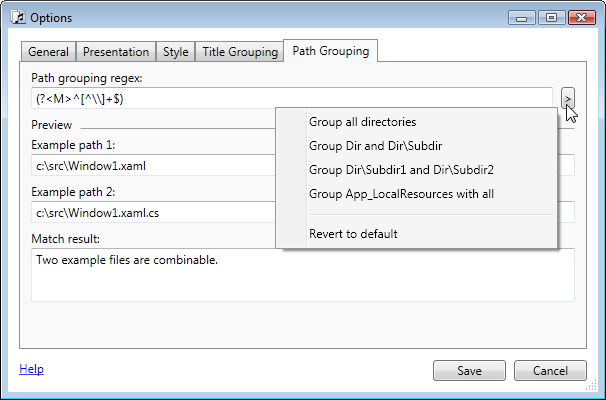 Same with Dir and Subdir in path snippet names. Hi! I use tabs studio all the time, and thought I’d check if it was alive and well. Great to see it’s powering along! And the predefined regexes for excluding the .designer.cs files etc will be fantastic. Cannot love this product enough! You have a very proud supporter.